Mindy Brooks has served as the Executive Assistant to the CEO of Sonic Healthcare USA (SHUSA) since February 2017. SHUSA is a laboratory company comprised of eight operating divisions around the USA servicing 25 states. Mindy has worked in healthcare for the past 15 years and in executive support since 1997. 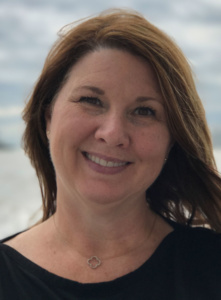 Prior to joining SHUSA, Mindy worked for the Seton Healthcare Family, the largest non-profit healthcare organization in Austin, Texas, supporting many different executives over her tenure there. She supported both the President and Chief Operating Officer at Seton Medical Center, the Chief Financial Officer, and the Chief of External Affairs. She has comprehensive experience in leading administrative teams, helping develop other administrative leaders. Mindy resides in Austin, Texas, is married to Jim and has three grown children, Amanda, Tera, and Andrew, and four grandchildren. In her free time, she enjoys photography, specifically sunsets, reading, and nature walks. 1) Tell us about a career accomplishment of which you’re particularly proud. I had the privilege of participating on a team and supporting an executive who helped create and bring a brand new medical school to The University of Texas Austin and brand new teaching hospital to the city of Austin. One of my best professional mentors is the first COO I supported at a medical center, Charlotte Thrasher. She was known to be very tough to work for and intimidating, what I learned from her turned out to be priceless. The biggest impression she made on me is that integrity always comes first. She consistently did the right thing, even when it was not necessarily popular. She is now retired, but I still look to her today for advice and guidance. She also allowed me to develop professionally and work to help my peers develop. 3) What is your favorite part about being a strategic business partner to your executive? I love to learn about the business we are in, where we are heading, and helping move obstacles out of the way. Our team has many very bright people, and I enjoy listening and learning from them. It also gives me a great sense of accomplishment when I hear my executive complimented because I work hard to make sure he is well prepared.